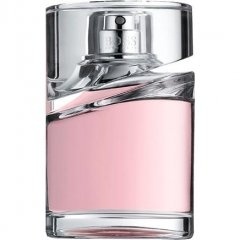 Femme is a perfume by Hugo Boss for women and was released in 2006. The scent is floral-fresh. It is being marketed by Coty. Face of advertising campaign is model Julia Stegner. It's always a bad sign when upon initial application of a fragrance new to me I think, "Hmmm... smells like something that I own and never wear...Hmmm...smells like x, or maybe y, or maybe z..." BOSS FEMME is a fruity-floral fragrance of THAT variety, the ones I somehow acquired but really do not like. A mixture of this and that and quoi que ce soit and n'importe quoi. BOSS FEMME does not, thankfully, make me sick, but it does contain some synthetic elements which don't fully agree with me and would prevent me from ever considering it again. I have no objection to redundant scents (beyond their redundancy), but to my nose this one is not very appealing at all. I might actually prefer water to this. Sad to say, but the strengths of BOSS FEMME are its weak staying power and very light sillage! I'm sure that this is a fine scent for someone out there somewhere--or maybe even hordes of people everywhere--but it's really not for me. A very pretty little scent. Nothing extraordinary, but wearable and inoffensive nonetheless. I particularly enjoy this fragrance's softness and ultra femininity. Although this fragrance is a fruity floral, it doesn't scream fruit or synthetic sweetness, rather it's delicate, natural and unobtrusive. There's nothing to dislike about Boss Femme. The opening of black currant, freesia and tangerine is pretty and soft. The heart which is made up of lily, jasmine and rose, smells like a fresh bunch of flowers which settles so naturally on the skin. The lemon tree note in the drydown is a lovely way to conclude this scent because it literally smells like a fruit orchard. I had no problem with the lasting power. I've been wearing this for 4 hours and I can still smell it. 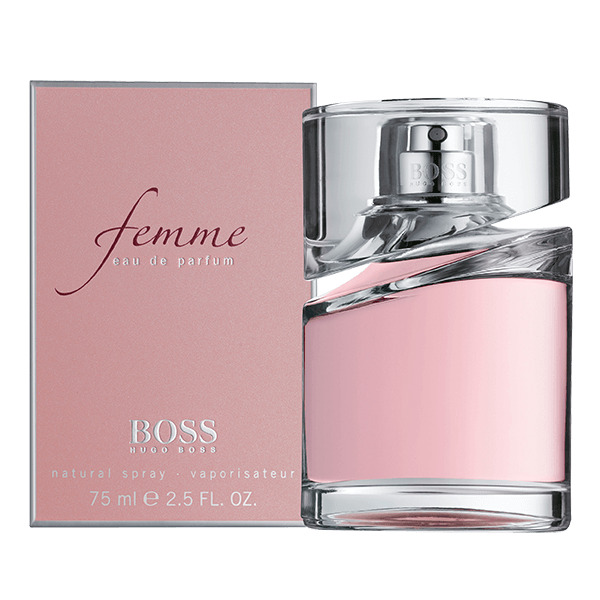 Boss Femme is a delightful fragrance if you want something gentle and feminine that guarantees not to offend.